Originally released in 1956 on Prestige, Plus Four has been reissued by Concord Records, which recently acquired the Prestige catalogue. 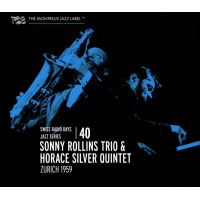 On this session a twenty-something Sonny Rollins uses the other musicians in the Clifford Brown/Max Roach Quintet (of which he was a member) as his sidemen. When you consider the personnel, the tunes, and the impending tragic deaths of Clifford Brown and Richie Powell (both were involved in a fatal car crash just months after this recording was made), the historical significance of this disc is immense. This is hard bop at its finest. The now classic Rollins waltz "Valse Hot leads off the set with a determined exuberance that seems to flow effortlessly from one solo to another. 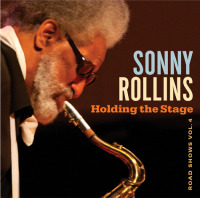 Rollins' solo is a potent mix of lengthy sixteenth-note runs and shorter motifs that he twists around and inverts in seemingly inexhaustible ways. Brown plows through this session like a high-speed Mack truck on a deadline. His tightly woven lines combine logic, power, grace and ideas. 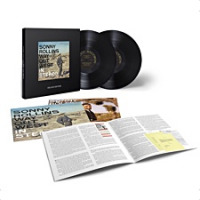 He is especially strong on the two up-tempo selections, "Kiss and Run and "I Feel a Song Comin' On. The brief rendering of Irving Berlin's "Count Your Blessings Instead of Sheep features an inspired solo by pianist Richie Powell that is reminiscent of Red Garland from the same era. 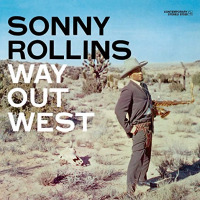 The tune was originally sung by Bing Crosby in the film White Christmas (1954); Rollins turns it inside and out with humor and the uninhibited inventiveness that has remained his trademark for over fifty years. 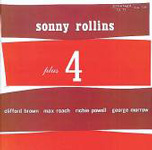 Rollins' solo on his own "Pent-Up House foreshadows the direction the saxophonist was heading at this early junction in his career. It was only a couple years later that he would drop out of the music scene for a period of self-imposed introspection. The music on Plus Four seems timeless. It documents one of the greatest working groups in jazz historyand, in Rollins and Brown, two of the genre's greatest practitioners in their prime. 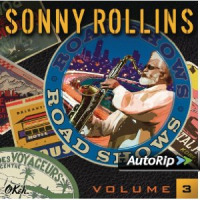 Personnel: Sonny Rollins: tenor saxophone; Clifford Brown: trumpet; Richie Powell: piano; George Morrow: bass; Max Roach: drums.